Google Glass: Could It Really Work? 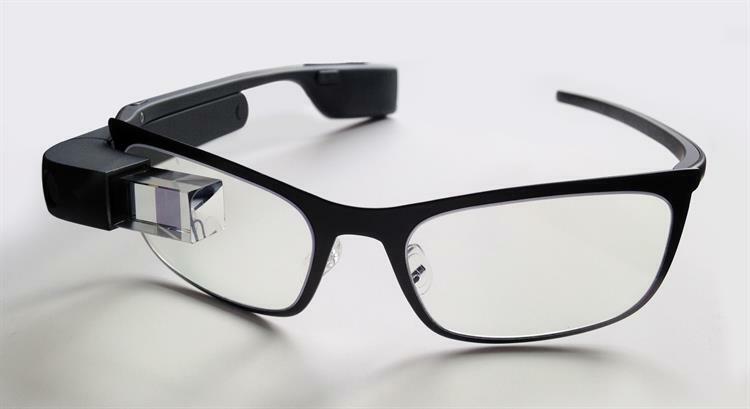 Google Glass is one of the latest cutting-edge technology in wearable launched by Google. In an attempt to make your online activities and your regular phone services at one place, Google Glass has created a new definition in technological advancement in the recent days. But unfortunately it didn't pick up the hype that we all were expecting. Was it only because of an unsound marketing strategy, or it had other big loopholes. Let's analyze while taking a look at this article. The first question that comes about Google Glass is: "What is Google Glass?" following many others like, "Is it like any other glass?" "Can everybody wear it?" "What does it do?" and "Isn't it damn expensive?" To answer all these queries one by one, it can be said that Google Glass is a hands-free display technology launched by Google. It is a device to pull information from the phones through voice commands wherein users can be in touch with their pals in Google+ Hangouts and even get information directly from the internet. 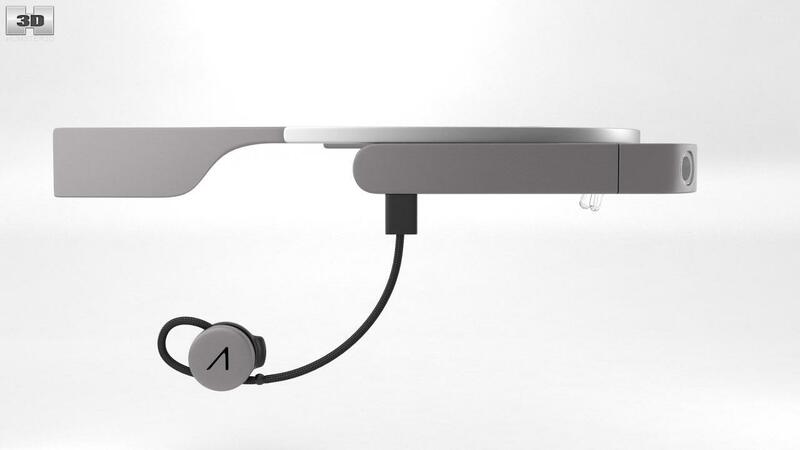 It comes with a wireless data connection, which adds an "augmented-reality overlay" to whatever scenario the user looks at, by automatically gathering all the relevant information from the various sources of Google network. Of late, Google has announced about a new software update for the Google Glass which also includes voice commands for both Paths and Evernotes. The frames are developed with the capability to get the recent communications taken place in your smartphone or form your Google accounts and display them through a head-up display. Through Google Glass you can take your phone calls, send messages, click photos and record videos, and also consult maps delivering the latest search results. Those who have been using Google Now, the Glass interface might appear remarkable same. There is the most important button inside the touchpad which comes near the temple while wearing it that displaying with a light, pressing which it turns the Google Glass on and gears up the all other important apps. Glass can take snaps and videos, send text messages, connect you with your social media sites, call, search information on Google, and take you to your destination through maps. What more? It can inform you about the time, the weather, and update you with the breaking news from The New York Times which is automatically included in the device, and if you don't have time to read them out, it will read it aloud for you. All you have to do is get in with a Wi-Fi connection to run the GPS-based functionality in the phone like getting the directions. Others, like Google Hangouts and Google Search, can also be performed over Wi-Fi. If you go offline, Google Glass will only perform those tasks that any phone will do, and that is taking photos and recording videos apart from making calls and sending messages. The Glass can be better described as more like a a pair of lens-free eyeglass frame, which has in it an inbuilt mobile computing device that fits on your right ear. 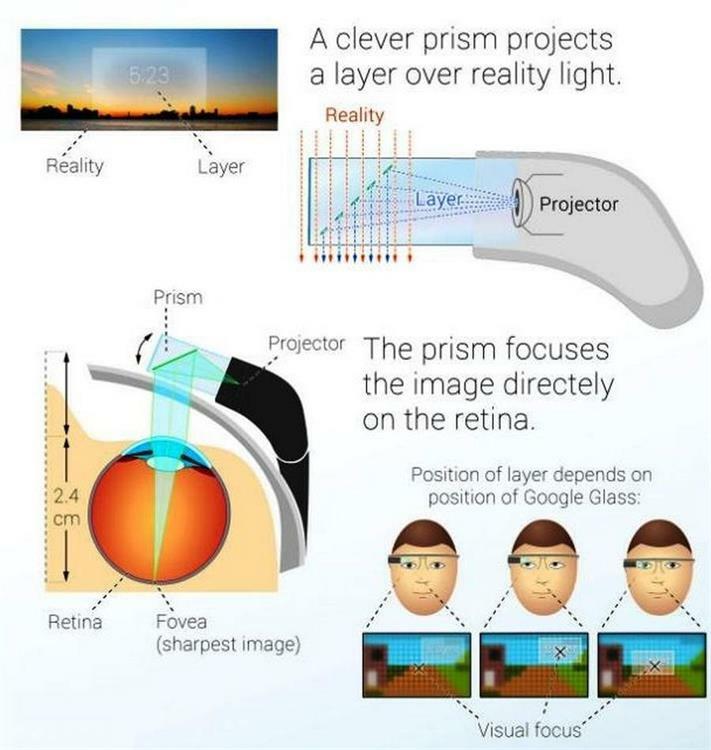 That part of the device is like an arm that will wrap around a tiny transparent display unit that is placed just on the top of the frame of your right eye. Google Glass is unimaginably lightweight. The frame is flexible. Even those small nose contacts can be adjusted for every individual shape. The Glass has a thick back part on its right side holding the battery along with every other electronic component like the touch pads, buttons and the speaker. You get the Glass with a Glass Explorer package that is included with the Glass unit itself that offers many colors, there is one snap-on sunglasses visor, one clear visor, and also a Micro-USB charger. You can store the Glass in the cloth pouch which is quite durable, but you cannot fold the frame like regular glasses. The Glass is based on Android, but it can be connected to both iOS and Android devices as well. You can also connect it with Bluetooth or through Wi-Fi to a phone, or a home Wi-Fi network, a laptop. There is a 5-megapixel camera that can shoot by default a 720p video in a duration of 10 seconds at a time. It has got a 12.5GB of onboard storage with a battery capacity of running about 24 hours a day. The eyepiece is a clear visor which has a thick stick made up of half-mirrored material with a small adjustment hinge to control the left-to-right movement. It is meant to remain floating above your eye level but not in the front of it. The screen has got an attractive and bright indoor design, but when exposed in the bright sunlight it gets difficult to watch over the surrounding objects. It feels like a 720p-display equivalent that has a 25-inch screen from which you are 8 feet away. Glass is connected with that one Google account bringing along Google+ and Google Now. But the Apps can't be downloaded you can get them through the MyGlass app on the Android. At present, they are more like features with pushed on services. Google Glass has become indisputably that wanted Glass especially for the developers who wants to make their online experiences go smoother and faster with minimizing thee physical efforts to avail them. So it has become mandatory to qualify through the Google Glass invites to get your pair of glasses. The design is sleek and comfortable, good for taking snaps without engaging your hands. Google Now works good and the Head-tracking navigation is almost like a dream-come-true. But Google Glass has its own sets of discomforts. It starts then when it disconnects. The Battery life is not even passing the bare minimum. The 5MP photos are not getting good lighting support, and you don't get that many number of apps that you would be expecting with its otherwise high-end technology. The disbalance of keeping everything only on one eye, makes it uncomfortable for the eyesight, and even can harm it, like one can lose eyesight balance and develop squint like defects. The price tag drives you away. Google has brought to you the most "sci-fi-looking" technology that has aroused curiosity and willingness to experience at some point or the other. But apart from the current loopholes and the failing marketing strategy, Google Glass may not catch up the frenzy as it plays with the normal security of people by distracting the attention from the natural reflexes our eye is habituated to, which plays with the normal security of people. Finally, it is a bleak possibility that Google Glass would become a must-have gadget for all, and for that it needs to consider all these facts which they have not given an effective thought. I would think it has many cons than pros, major ones among them being health concerns. Having a Wi Fi signal just a few inches near your eyes (or brain, for that matter) is not really a good idea. Besides, performing daily tasks wearing the glass- like driving would lead to serious safety concerns. Not to mention the effects to vision as the article has stated. Google has cancelled the initial project, and now seem to be working on it from scratch. Let us see what we can look forward to.